The Wisconsin Forward Award intent to apply deadline has passed, and we have a bumper crop of applicants for our 2019 Winter cycle. 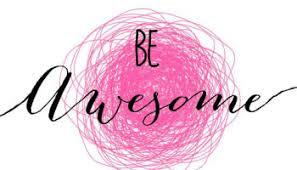 If you have been considering applying for the Board of Examiners, or have sat out a few rounds, now is the time to activate your awesomeness. Our convenient online application form takes a minutes to complete. We’ve extended the application deadline, and ask that you submit the application on or before December 30, 2018. Why? Our board of examiners can NEVER be too large! An overview of Examiner roles, key dates, and other resources can be found on our Examiner Resources page. Check out the training dates and key milestones. Then click on the application link and apply! There is a special place in our hearts for experienced team leaders. Team leaders take awesome to a whole new level, and we are looking for 5 of them to usher teams through the review process. If you have questions or would like to talk about the commitment, please don’t hesitate to contact us. We can put you in touch with real, live Examiners who can give you the skinny before you sign on the dotted line.